Agent 47 will discover his inner Macaulay Culkin via a free Hitman mission this month. Set in the game's Paris level, the "Holiday Hoarders" mission flips the calendar to Christmas, where "snow, decorations, and even presents" add to the fashion show that apparently takes place year-round. However, 47's targets are two thieves who have snuck into the event in order to steal the presents. The update's press release describes the targets as "sticky bandits," referencing the thieves played by Joe Pesci and Daniel Stern in Home Alone 2. 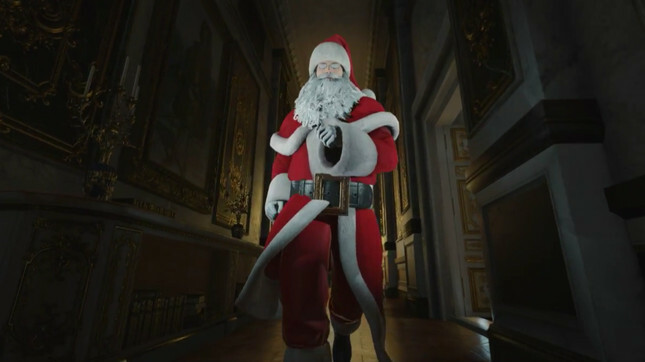 In keeping with that motif, Agent 47 will receive a range of Christmas-themed items with which to dispatch the targets, including a Santa costume and whatever he can find inside the aforementioned presents. The mission is being released in aid of the World Cancer Research Fund; though a donation is not required to access the mission, developer IO Interactive is asking players to donate "whatever they can" via a Hitman-specific donation page. "Holiday Hoarders" launches on December 13th for all owners of the game, along with a new Sapienza elusive target.